Can You Spot The Difference Between The Old And The New Covenant In-order To Live And Enjoy It? 1) OLD COVENANT — God Lived In the lifeless Physical Temple and people met Him from outside in (Heb 9:7). 1) NEW COVENANT — God lives within our Physical Body which is His temple and we live within Him as we are one spirit with Him (1 Cor 6:17). We meet God inside out (Col 3:3). 2) OLD COVENANT — It always operated with the letter of the law of Moses which was copied by pen and ink and was expounded by teachers of the law to be kept by those who followed it (2 Cor 3:3). 2) NEW COVENANT — We ourselves become ministers living epistles written by the Spirit of the Living God on the tablets of our heart of flesh (2 Cor 3:2-3). 3) OLD COVENANT — The letter keeping always killed God's life and brought sin consciousness and condemnation in those who followed it (2 Cor 3:6). 3) NEW COVENANT — Each time the voice of the Spirit was heard within God's temple of our bodies, and kept by the strength of God that comes with His voice, new life of God flows by the Spirit in to us infusing heavenly thinking and living (Col 3:1-2). 4) OLD COVENANT — Ministry of condemnation because it has no life within it (2 Cor 3:9). 4) NEW COVENANT — Ministry of reconciliation and righteousness because God's heavenly life flows as a stream of river giving life to wherever it flows through (2 Cor 5:18; Rom 10:4; 1 Cor 1:30-31). 5) OLD COVENANT — Ministry of death which was glorious, so that the children of Israel could not look steadily at the face of Moses because of the glory of his countenance, which glory was passing away (2 Cor 3:7). 5) NEW COVENANT — Ministry of the Spirit which is glorious enough to stay with us for eternity ahead, and causes people to see our face because of the beauty of God's glory upon us, but it sends shivers in the spine of demonic spirits and causes demonic spirits from highest order to the lowest to run away from us seeing the ever surpassing glory increase upon us day by day (2 Cor 3:8, 17-18; Mark 1:21-28; Luke 10:17-20; Acts 6:15; 1 John 3:2-3). 6) OLD COVENANT — Doing makes followers (Exo 23:22; Lev 2:4; 26:3; Deuteronomy 4:29; 7:12; 28:2, 15, 21). 6) NEW COVENANT — Believing makes followers (Mark 9:23; Col 2:13; 1 Peter 2:24; Eph 1:3, 19; 2 Cor 5:21; Heb 10:10; Rom 8:39; 15:7). 7) OLD COVENANT — Earthly Temple : High Priest was on earth who were kept on changing because of the shortness of human life, or in other words because of their death (Heb 8:4-5). 7) NEW COVENANT — Heavenly Temple : High Priest is in heaven who will no more die forever and so He will continue in this ministry forever (Heb 8:1). 8) OLD COVENANT — God gave his law through angels to Moses, who was the mediator between God and the people. Because the first covenant had been faulty, God sought Jesus to establish eternally a new covenant which will be faultless forever through Him (Gal 3:19). 8) NEW COVENANT — Jesus has obtained from God a more excellent ministry than Moses, now God gives His empowering grace through Jesus who is the Mediator of this better covenant, which was established on better promises (John 1:16-17; Heb 8:6; 1 Tim 2:5). 9) OLD COVENANT — Every high priest is appointed to offer both gifts and sacrifices in the earthly temple of God which was built under the accurate instruction of God to Moses (Heb 8:3; 10:11). 9) NEW COVENANT — Jesus offered Himself as one eternal holy everlasting sacrifice for the sins of every one who believes Him and He has entered heaven where the true tabernacle of God stands forever (Heb 7:27; 9:29; 10:12, 14; 4:14; 6:19-20). 10) OLD COVENANT — Every follower of the law by the letter becomes sufficient in Himself and thus get condemned, unless they truly realize their need and depravity that only God could help them rectify it and help them walk pleasing to Him (John 5:39-40; Matt 23:1-3, 4-5; John 3:18, 19-21, 36; 9:41). Under law God requires. 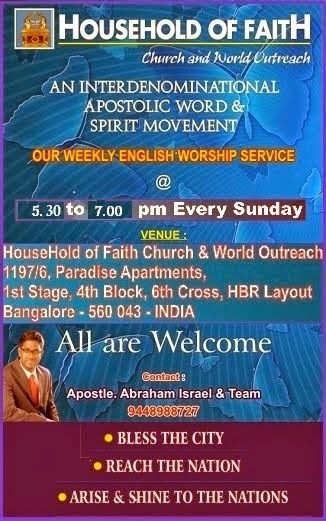 10) NEW COVENANT — Every follower's sufficiency is of God which always pleases God (2 Cor 3:5; Heb 11:6). Under grace God provides. 11) OLD COVENANT — It is becoming obsolete and growing old to be ready to vanish away with the rapture of the saints. Now whatever we learn from it serves only as types and examples to the followers of the New Covenant to be edified, exhorted and comforted (Heb 8:13; Rom 15:4; 1 Cor 10:6, 11). 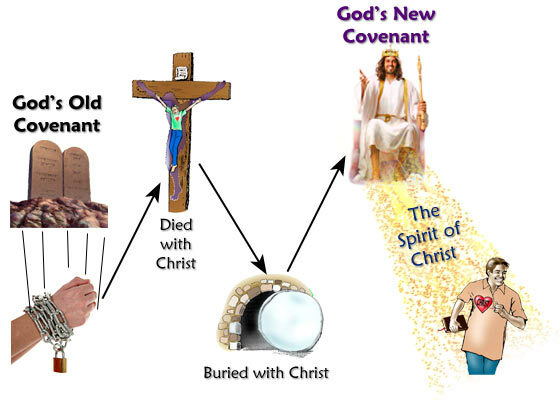 11) NEW COVENANT — This covenant is an eternal covenant between God and humans, sealed through the blood of Jesus and put in to effect by God and attested by Him as valid for eternity ahead by raising Jesus from the dead (Heb 5:9; 13:20; 1 Cor 15:17; Acts 2:32). 12) OLD COVENANT — There was no surety of a reward except earthly temporal ones, but blessing was pronounced for its followers who obey without fail, as well as curses to those who fail to keep it (Deut 28:1-2, 15). 12) NEW COVENANT — Jesus has become a surety of a better covenant, who has promised eternal rewards for the followers (Heb 7:22; Rev 22:12). 13) OLD COVENANT — Many sacrifices : Yearly, monthly and daily sacrifices accompanied with foods and drinks, various washings, and fleshly ordinances that sanctifies for the purifying of the flesh [outer] only reminded them that God will take care of their sins through the sending of their Messiah, which has been temporarily imposed by God to only cover sins until the time of reformation which is the time of the New Covenant, and thus it was impossible to take away the sins of people (Heb 10:3-4). 13) NEW COVENANT — One Eternal Sacrifice : The blood of Christ, who through the eternal Spirit offered Himself without spot to God, cleanses your conscience from dead works to serve the living God (Heb 9:14). Your past, present and even future sins are taken care forever by that One Sacrifice that Jesus did. 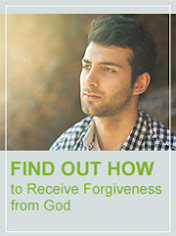 Forgiveness of sins and freedom from sin is a inner reality within our spirit [inner] to enjoy everyday, but through our confession and communion with God we actually experience the renewal of the mind of our soul which actually brings out a change in our behavior for the Glory of God. 14) OLD COVENANT — Operates by law of works; Law of Moses operated by the rule that every one who sins will die. Righteousness of the Law produced by one's work is like a filthy rags in the sight of God (Gal 3:10; Isa 64:6). 14) NEW COVENANT — Operates by law of faith; Law of Jesus Christ operates by the rule that every one who believes will receive the Spirit of life to enjoy life abundantly within the highest order of blessing which is the spiritual blessings of God. Every one who lives by faith receives from God the righteousness of faith once and for all time, in which Jesus Christ Himself actually becomes their perfect righteousness (Rom 1:17; 3:21-26, 27; Php 3:9; Matt 21:22; Mark 11:24; Gal 3:2-3, 14; Eph 1:3; 1 Cor 1:30). 15) OLD COVENANT — It was a shadow of what is to come in the time of reformation which is the New Covenant. It was all about what you can do to please God and receive His Blessing (Col 2:17). Walking in it builds religiousness leading to hell for those who have not been saved and loss of reward for those who are saved. 15) NEW COVENANT — It is the ultimate substance of Christ and His sacrifice. It is all about what God has done for you and how He is already pleased with you in Christ Jesus, then it makes us realize our unworthiness to receive His great blessings and magnifies His worthiness and benevolence to shower His blessing freely upon us. Finally it makes us realize that we in Christ Jesus need not even ask for God's blessing but just use all the spiritual blessings by faith to live a worthy life to glorify God and receive His glorious eternal reward to enjoy our eternity with God (Col 1:13-18, 27)! Walking in it builds close and intimate relationship with God which brings heaven's blessings automatically in all areas of our life such as spiritual, soulish, physical, social and financial areas of our lives for the Glory of God!